Penn State University Press, 9780271077406, 288pp. On Mother's Day 2001, Henny Beaumont gave birth to her third daughter, Beth. For the first four hours of Beth's life, she seemed no different from Henny's two other little girls. But when the doctor told Henny and her husband that their daughter might have Down syndrome, Henny thought that her life was over. How would she be able to look after this baby, who required corrective heart surgery and an overwhelming amount of care, and manage her other two children at the same time? Why did she hold such intense feelings of disappointment, resentment, and sadness toward this weak and vulnerable baby? Henny wondered if she would even be able to love her daughter. And if Henny couldn't trust her own feelings about Beth, how could she expect other people to overcome their prejudices and ignorance about Beth's condition? 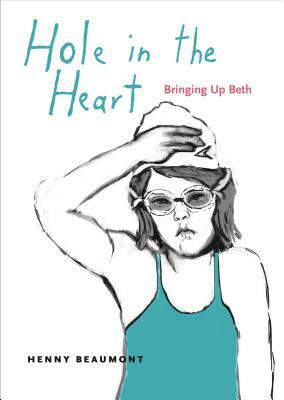 Hole in the Heart is a moving and refreshingly honest look at raising a child with special needs. Henny doesn't shy away from the complicated emotions and challenges that affected her and her family. But her story also shows that fear can be the greatest of these challenges--and the most rewarding to overcome. Henny and Beth's journey speaks not only to parents of children with special needs and the medical and care professionals they interact with, but to all parents who wonder whether their child is loved enough and is reaching his or her potential. A raw, visually gripping memoir, Hole in the Heart shows how Down syndrome is only one piece of a family's story.